Facebook Adds New Replies Option to Clarify Messenger Streams – YOU CANT STOP THE SHOW!! Facebook is rolling out a new, quoted reply option for specific messages within Messenger chat streams, which will help to clarify the conversation and make it clear who's speaking to whom with each response. Facebook is rolling out a new, quoted reply option for specific messages within Messenger chat streams, which will help to clarify the conversation and make it clear who’s speaking to whom with each response. As reported by Venture Beat, the new option will make it easier to make sense of group chat discussion, with a specific response option for each individual message. To respond to a message, users will be able to long press on the comment they want to reply to. You’ll then be able to tap the ‘Reply’ option (on the right of the emoji bar) and your response will be displayed along with a quote of the original message, showing that it’s aimed specifically at that comment within the thread. It’s essentially a variation of Messenger @mentions, which Facebook rolled out back in 2017. That acts as a way to add new people to a Messenger thread, while it also enables users to specifically address a person in-stream. This new option takes that a step further, with an easy process to quickly respond to users, and keep the broader thread on track. 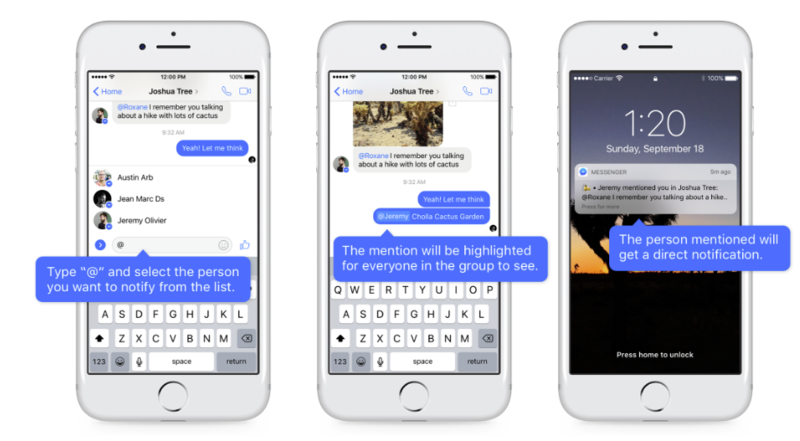 The option is part of Facebook’s broader effort to simplify Messenger, as it looks to make messaging more of a focus moving forward. As has been well-publicized, given the rise in messaging use, Facebook’s looking to integrate its messaging platforms to facilitate cross-app communication, which will provide new opportunities for The Social Network to capitalize on its scale, and maximize in-app engagement. As part of that process, Facebook will also look to make messaging easier to use and understand, inviting even more people into message streams. Individual message responses is a small part of this, but it adds to the broader goal of making messaging a more inclusive interactive option. Also worth noting: The same option is already available in WhatsApp, which adds to the integration element. 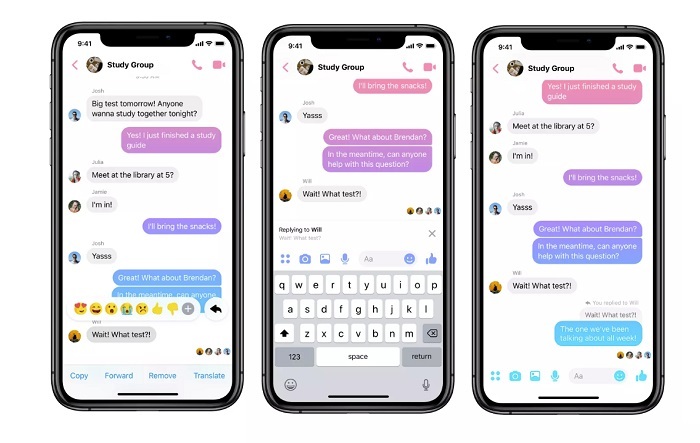 In addition to this, Facebook also recently added the ability to share Messenger Stories within your chat threads, with Stories being the other key area Facebook’s looking to emphasize moving forward. The new Messenger chat reply option is available in the latest version of Messenger.